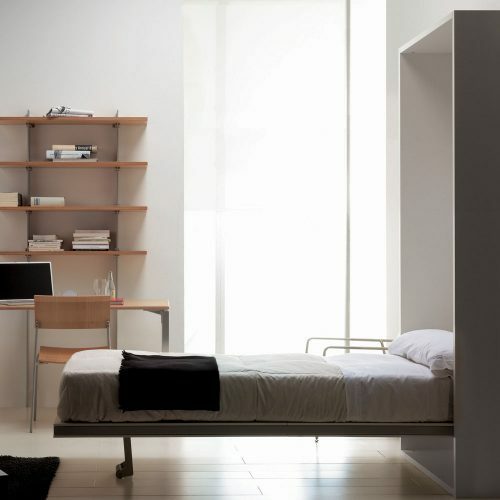 This single bed can solve space problems in private flats as well as in hostels, hospitals and student properties. 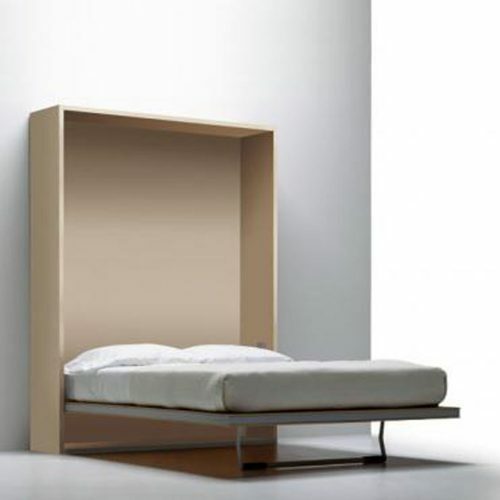 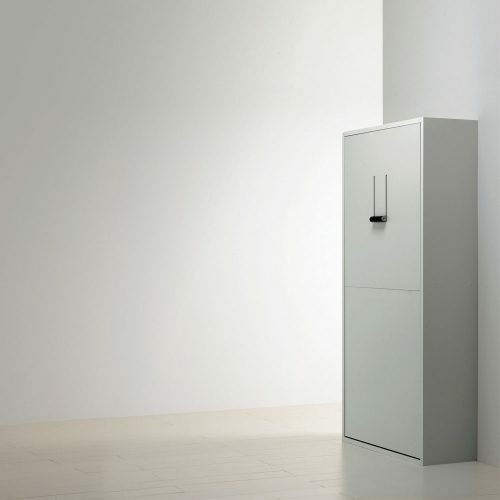 This model has a wooden frame and can be built into partition walls to optimise space saving. 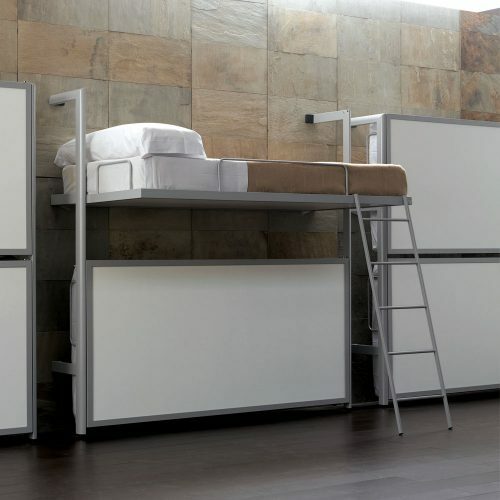 The Single bunk bed suitable/functional in private flats, student space saving studios and hospitals. 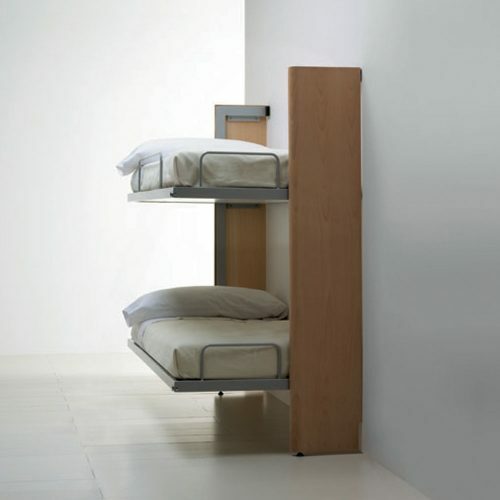 The bunk bed is suitable/functional in refuges, youth hostels and spaces which require several pieces whilst saving space. 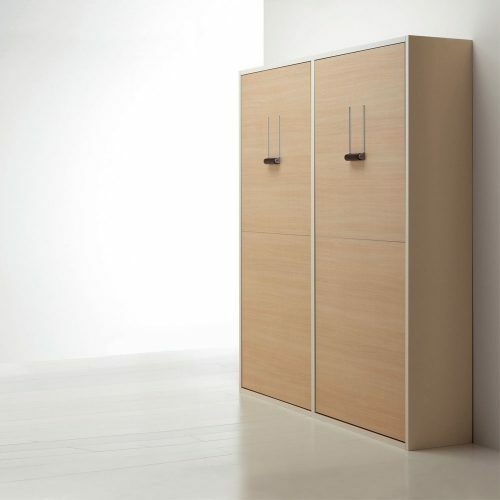 The side covers hide the linen for a more elegant finish.